1. Click the active (front most) window and move it left and right with your mouse. 2. They make navigation so much easier, but they only work on precision touchpads (like the ones on Surface tablets). First, check to see if your laptop has precision touch by going to Settings > Change PC Settings > PC and devices > Mouse and touchpad. You should see Your PC has a precision touchpad. 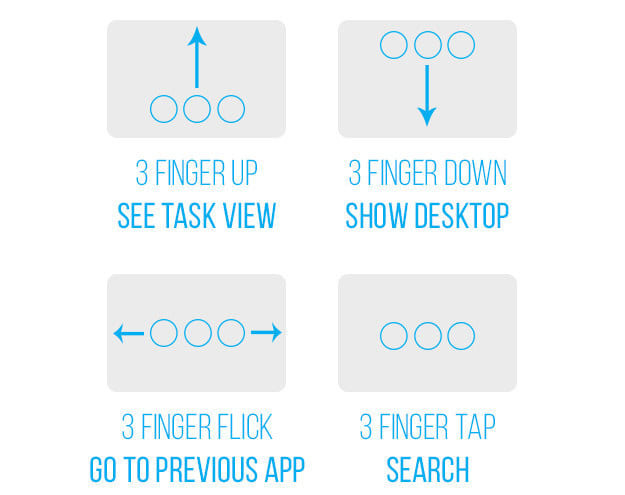 Then you can try 3 finger swipe up to see "task view," which shows you all open windows. 3. Three finger swipe down: Show desktop. 5. Three finger tap: Opens Cortana Search. ​6. 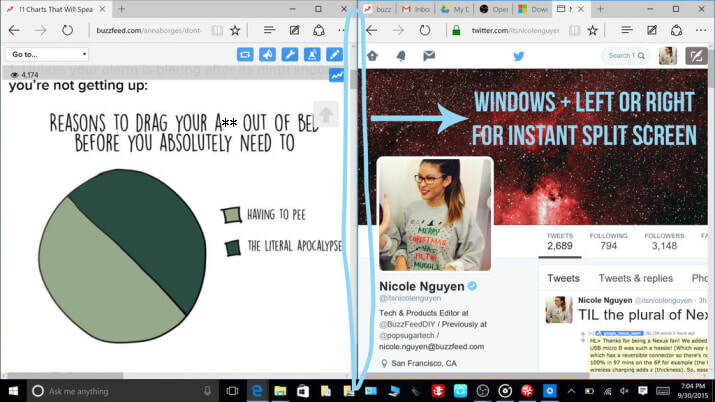 Windows Key + Left or Right: Snap window to left or right side of the screen. 7. Alt + Tab: Shows all open windows. Press tab repeatedly, then release to switch to the open window. 8. Windows key + Tab: Like Alt + Tab, except it stays open and doesn't disappear when you release keys.